Hello world! This is my very first post and I’m super excited to be doing this. I just want to give everyone a heads up that I will be doing my own photography! RecipeBOY photography, not RecipeGIRL photography! I hope some of you will become regular readers of my blog. Here I go and enjoy my blog! My parents don’t let me drink soda. :(. They say it has too much sugar in it. The only exception is that sometimes I get to have a Shirley Temple on special occasions- like going out to dinner. 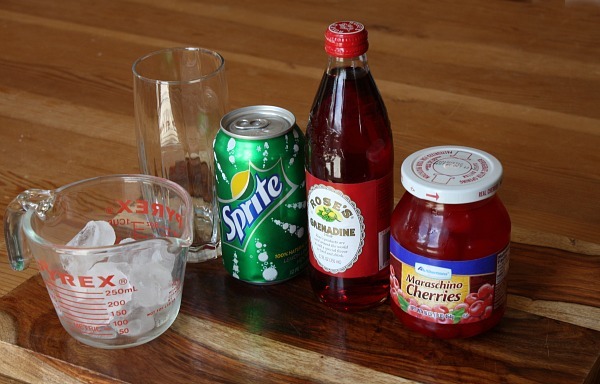 These are all the ingredients used in order to make a Shirley Temple. Put ice in a tall glass. Fill the glass with Sprite. 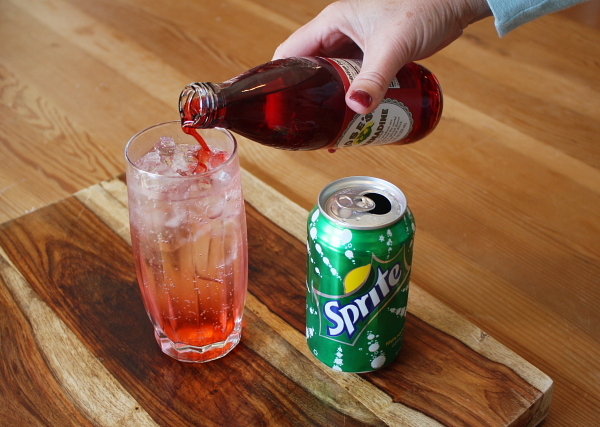 Drizzle Grenadine into the Sprite. Add a maraschino cherry on top. 1. 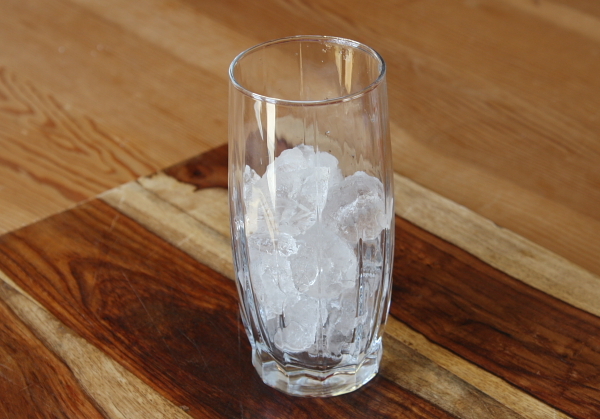 Fill a tall glass 3/4 full of ice cubes. 2. 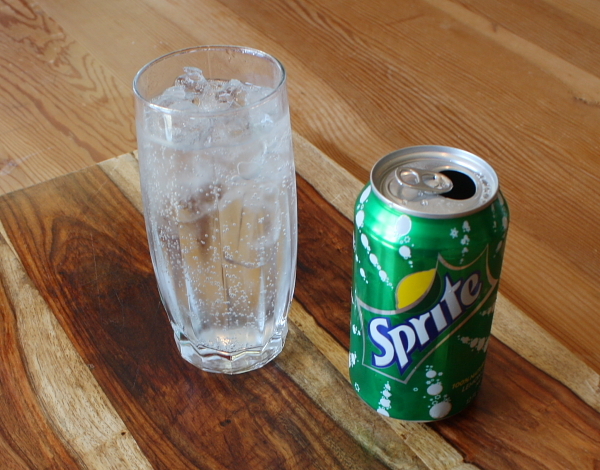 Pour Sprite over ice cubes until the glass is almost full. 3. Add a dash of Grenadine syrup. 5. Garnish with a maraschino cherry. How cool is it that you are blogging?! Awesome! Congrats…and a great post with great pictures! I bet you make your momma proud! I am 12 and i love this stuff!!!!! Wow!!! How exciting, and so impressive! I used to order Shirley Temples all the time when my parents took me out for dinner…great choice. Your mom must be SO proud of you 🙂 I’m going to show this to my little brother, he could be following in your footsteps. Congratulations on your new blog, keep up the awesome work! Congratulations on the launching of Recipe Boy! I’m going to show my two boys (ages 9 and 7) your site. I know they’ll be very excited to follow it (they love food as much as their mum does). Not too long ago I was a kid drinking Shirley Temples at restaurants too! I loved them. In fact, I still do. This was a great post – your photography is excellent! Welcome to the blogosphere! I used to love Shirley Temples until I discovered soda water mixed with bitters & grenadine with a squeeze of lime. This drink is nameless as far as I know- maybe you can come up with something. I have only one thing to say… Add more cherries! for my son, three is a minimum. Welcome to the world of food blogging. I’ll be sure to come back, and I’ll bring friends. It’s a great first post. What a great post! 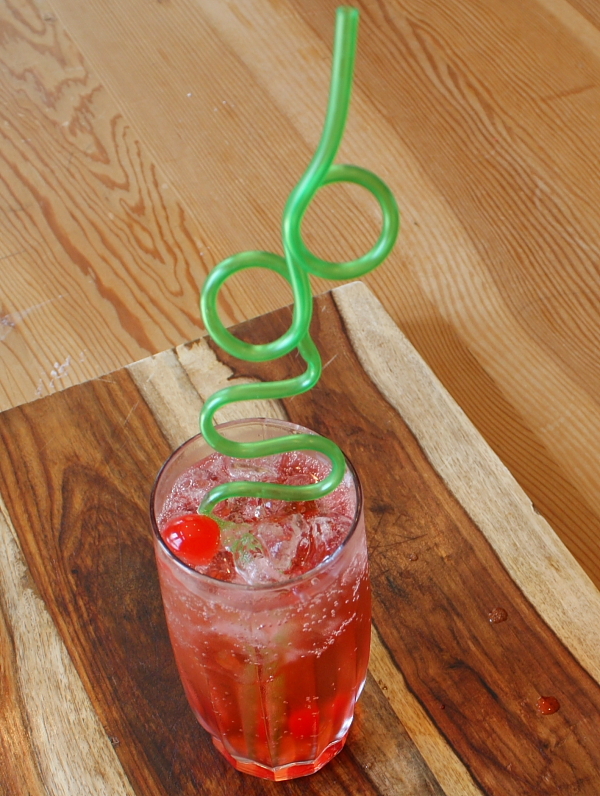 I love Shirley Temples and didn’t know how to make them — thanks for sharing! Well, hello there RecipeBoy! Your new blog rocks and your photography is excellent. I used to order Shirley Temples when I was your age and I still like them even now 🙂 Great job on your first post. Being English (at least I presume this is why) I’ve never had a Shirley Temple. 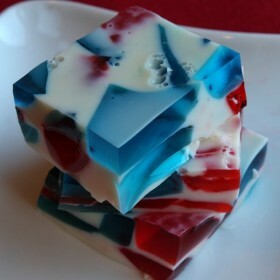 It looks delicious – maybe I’ll try out your recipe and find out if I like them! What a great blog! Can’t wait to try all of the recipes you will begin posting! My daughter loved Shirley Temples at your age too! Great start!!! I will tell you a secret … I am 33 and I STILL have a Shirley Temple from time to time. 😀 When my parents would take me out for a fancy dinner they would always order me my own special drink and I felt very grown up. Great pics and what a great start to your new blog! Fantastic first post! Congratulations on RecipeBoy, I would have loved to have a website when I was 10. Can’t wait for your next post. Fantastic 1st post and a good choice too! I’ll be sure to share with my 3 boys! Congrats on your new food blog! It looks fantastic! Well congratulations RecipeBOY!! I’m so impressed with your new site, and excited that your first post was my all time favorite drink as a kid! Thanks for sharing this recipe~ I can’t wait to see more!! I used to LOVE those. Congrats RecipeBOY. You’re gonna rock! Looking forward to share your blog with my two boys! Brooks! Congratulations on starting your own blog! 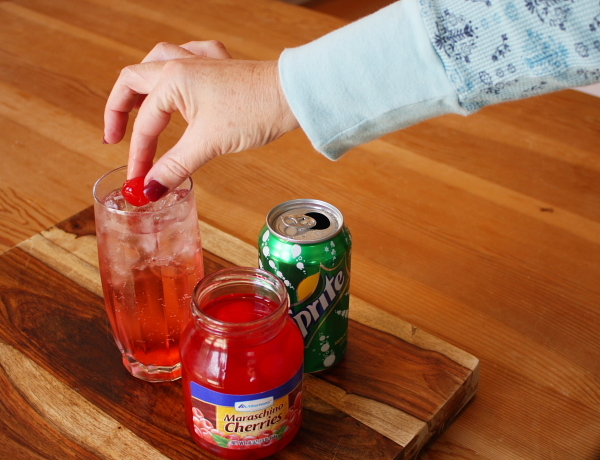 My kids love Shirley Temples, too, but we don’t usually make them at home. I’m happy to show them that we can easily do just that! Love this! Congrats on your blog. I love Shirley Temples! Love the post. Shierly Tempels were my sister & my favorite drink as young girls. I will definately be following your blog. Love it! Such a great first post! I love Shirley Temples too. 🙂 I look forward to seeing more from you. Can’t wait to see what else you blog. Can’t wait to see what you’ll be blogging about next! Welcome Brooks! I’m glad you mentioned the squiggly straw, that’s really what it’s all about! Happy 10th to you Recipeboy! And how cool to have a blog. Very nice. Erm…credit to the hand model in the photo? 🙂 Best of luck to you, and most importantly, HAVE FUN! Looks great. I knew what was in a ST, but I guess never REALLY knew.. Great first post! Welcome to the blog world Recipe Boy. I think that is so cool that you are interested in blogging and good food – yay! I also think its super awesome that you like sushi! When I was growing up, once in a blue moon I would order a shirley temple. You make it look so yummy! I’ll have to make these and see what my boys think! Welcome and happy birthday! 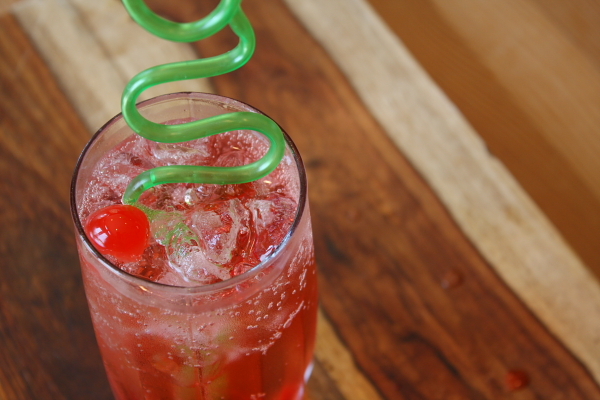 I adore Shirley Temples – always have, always will. Congratulations on your terrific blog! Great job abd Happy Birthday! Congrats on your site! I am looking forward to reading your posts! I used to love Shirley Temples-such a fun drink! You are so cool! and a very good photographer! Keep up the good work! WOWZA! Your very own food blog and you’re 10 years old! How cool are you??? Congratulations and happy birthday! You’ve done a wonderful job here with your first post and I can’t wait to see what other fun and interestings things you add to your site, Recipe Boy! I think this is just about the neatest thing EVER! I wish I had something fun like this when I was 10 years old. Good luck Brooks! Enjoy your blog. Oh BTW, I’m stumbling this for you. Way to go! I knew you had a food blog in you. I remember you drinking Shirley Temples in Mexico last year. Great kick off post. Welcome to the world of food blogging Brooks! Great first post, it made me remember how much I loved Shirley Temples! Hi Brooks, I used to work with your mom when she was a teacher. I am so excited that you have your own website!! !I like your pix and your first recipte. I’ll share the news with my students and they can subscribe. Best of luck!! Congratulations Brooks on the inaugural RecipeBoy blog post! Very impressive! How fun! I love that your also into the photography part of things! My daughter just started her own blog, just this last weekend & she loves it! Her dad, my husband is a chef & also food columnist, I think this is great for kids to write. Great post…wonderful photos and I am looking forward to your next post. Welcome to the world of blogging and sharing your love of preparing good food with others. And, because people always seem to like to know where their readers are from: I live in Indiana, as near to Indianapolis as you can get without actually having an Indianapolis address. This is the month for the big Indianapolis 500 car race, so people around here are in the midst of entertaining and enjoying race-related activities. Maybe you have a fun recipe that I could make for a race day party? I think these Shirley Temples would be a big hit with children and adults. Thanks for sharing. I’m so proud of my awesome food blogger! You did such an awesome job on your first post, and I absolutely cannot wait to see what kinds of ideas you come up with next. Yay for food bloggers in the family!!! Great job on your first post! Very professional and great pictures. I remember having Shirley Temples at my aunt’s wedding when I was a kid. Yum! My name is Charlie and I also have a food blog. I just turned 13 and I am so glad to hear that we have another young food blogger. If you have any questions regarding your blog and how it is being a young blogger, feel free to email me. Great recipe and pics! When I was growing up we weren’t allowed to have soda either, with the exception of birthday parties. Shirley Temples were such a treat back then, and still feel “special”. Nice job, Brooks! I’m very proud of you. Can’t wait to read your next post. Amazing first post. I am so impressed. With a mom like RECIPE GIRL it’s no wonder you are so talented. I am showing my 12 year old, this is so cool. Oh by the way, your writing is incredible. I love it. Like Emma @ Poires au Chocolat, I have never had a Shirley Temple either but it looks delicious. Congratulations on your first post and the terrific blog! You will be an old pro in no time. I’ve always enjoyed Shirley Temples, even as an adult! Excellent post, Brooks! I wish you a big success with your new blog! I loved Shirley Temples when I was younger, especially because my parents would only let me have one on a special occasion – just like you! Your blog looks fantastic so far, Brooks, and I can’t wait to read more about your kitchen adventures. How exciting :). Brooks, good show young man! Congratulations on the launch of your blog and a happy belated birthday to you. I found you through your mom’s site via the Los Angeles Times. 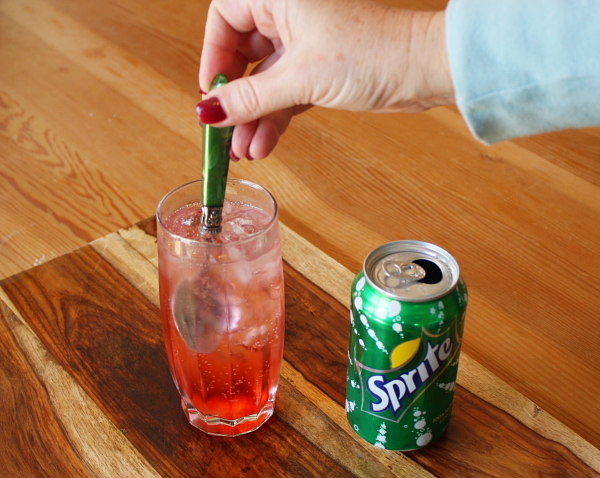 I haven’t had a Shirley Temple in years, but yours looks so crisp and refreshing…my kids would love a crazy straw too. I’ll be keeping a look out for you. Best wishes in all your endeavors! Congratulations and happy birthday! Your photography is really good! Happy Birthday! Very impressive job on the blog. I’m adding it to the others that I follow. Keep up the good work. You go Brooks! Shirley temples are the bomb! Congratulations on your new blog! Great first post!! I can’t wait to see what’s next! Keep up the great work! Congratulations on the launch of your very own blog. How exciting! Great job on your first post. I love the straw you used in your Shirley Temple–fun!! How cool is this? I love that you are doing your own blog, and you know what? I think you will be an inspiration to other kids, whether they like to cook or not. Like, my son might see a recipe that you like that he might be more likely to try if you like it, you know? I am totally looking forward to hearing about Grammy’s Tuna Casserole and all the other amazing recipes you have in store for us. Hi Recipe Boy. So great to see that you have a blog. I am at the other end of the age spectrum, practically old enough to be your great-grandmother; and I have a new blog, too. My son learned to cook when he was about your age; and since he is single, cooks for himself now that he is all grown up. I will be subscribing. I feel like it was just yesterday I was ordering Shirley Temples out at restaurants with my parents. lol. They made me feel quite fancy and grown up that’s for sure! Brooks – Congrats on your blog, your first posting, and your birthday! We’ve got something in common…My son is turning 15 and STILL eats yoplait yogurt for breakfast everyday. Love the Shirley Temple..Looing forward to more – Happy Cooking! Hey there Recipe Boy! What a great blog you have here! I think my kids would like this drink. My 8-year-old daughter wants her own cooking blog so I think it’s great that you have one. First – happy 10th Birthday! Second – this is a great start to your blog. I’ll check back again and forward your articles to folks I know. Happy Birthday! You are AWESOME!! Hey Brooks! You sound like a very cool kid and you have a very cool blog! Awesome Job!! I have step kids that would love this!!! Shirley Temples are also a favorite drink among pregnant women. I love this drink and I love this website! Right on Brooks. Awesome job on the blog!! I love Shirley Temples! They are the best! Happy Birthday!! Can’t wait to see more here on Recipe Boy! I LOVE it when kids know how to cook–especially BOYS!! Congratulations and keep up the good work! Great job on your blog. My son is excited to make both recipes. We are getting everything we need tomorrow. Brooks: I can’t believe I didn’t comment on your very first post. Maybe it’s because I was with you and gave you a hug instead. Oh well, a hug is more fun anytime so better late than never. HURRAY FOR RECIPEBOY! sooo…whos hand is that in the pictures? I just found your blog and I couldn’t resist this post- even at 35 this is still my favorite drink. I remember my parents letting me get these as a treat when we were fortunate enough to go out to eat as a kid. Thank you for sharing your yummy treats. Sorry Matt but a TRUE Shirley Temple is Ginger Ale, Orange juice and grenadine or cherry juice…. Sorry for not having soda. But did you ever even once had soda? If you don’t mind my asking! 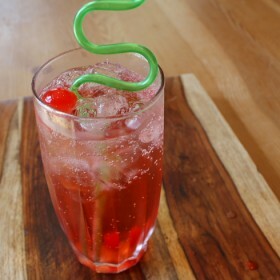 I love Shirley temples but I never knew how to make them now I do! Hi, I was wondering if a Shirley Temple would taste the same if you mixed Sprite and Cream Soda instead of Grenadine. My all time favorite drink of all time used to have this back in the day at the bowling alley where my dad use to bowl thanks for the post now I know how to make it so it can bring back my memories as a kid :). I’m 11 and ive never had a Shirley temple! I need to try one soon!! thanks for the recipe! I was so happy when I found this recipe!! 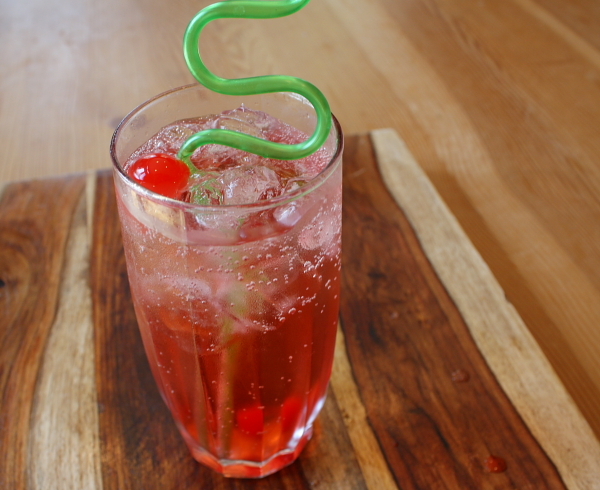 I wanted a Shirley temple and I just happened to have all the ingredients in my kitchen besides the cherries but it’s an acceptable loss…Great job on your blog!!!! You Go!!!!!! Back in the (my) day… Shirley Temples were for young women and Roy Rogers were for young men. Roy Rogers are made in the same way only substituting cola for the sprite or ginger ale and adding grenadine and a cherry. And “HERE HERE” to only having soda on special occasions! assidy was a drink for boys. I don’t know what the ingredients were in a Hop=along Cassidy. Thanks for the nostalgic reminder. I drank these quite often as a child. Can’t wait to share it with my own children. BTW you photography is excellent!